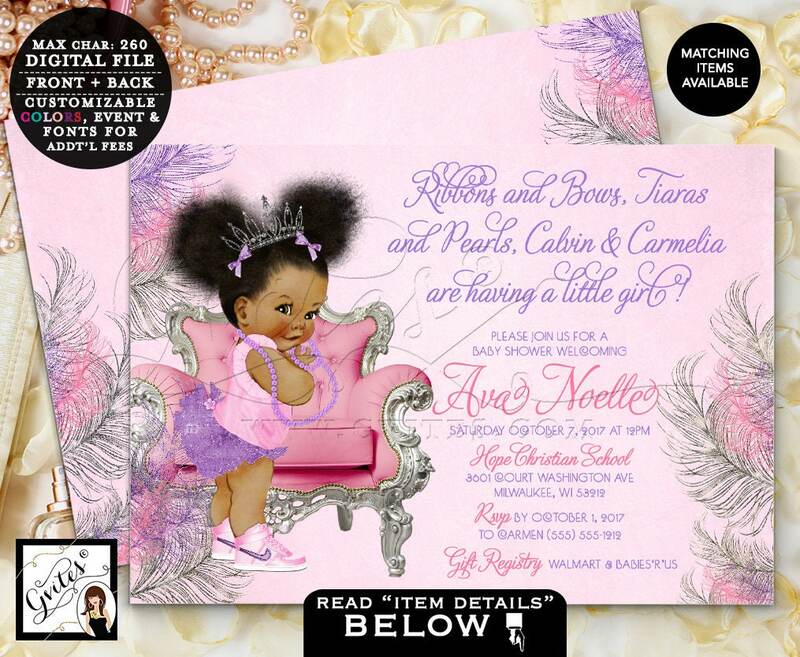 Pink and purple baby shower, african american princess, lavender purple silver and pink, afro puffs baby girl, printable 7x5 double sided. Coordinating items are sold separately! This listing is for a digital file only. Nothing gets physically mailed. ▶︎PRINTING NOTE◀︎ This invitation does NOT include real glitter/foil paper, but rather a quality high resolution graphic that will print to look like glitter/foil. I highly recommend professional printing or printing on a high quality home laser printer to achieve the most realistic results.